Paste wax is a product that has been used for centuries to help apply a smooth, gentle finish to woodworking projects. It offers a beautiful shine and coating, although when it comes to durability, it lacks in many areas. Paste wax is a thick, creamy wax that is often applied with a cheesecloth or rag, buffing into the grains of the wood until a highly vibrant shine and gloss forms. It was originally used to protect the wood from elements like water and heat; although currently, many modern options provide better coverage in regards to longevity of wood products and finish. What is paste wax made of? 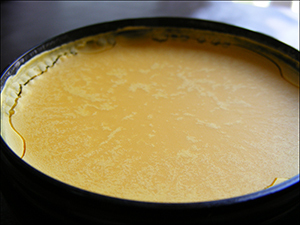 When it was initially used centuries ago, many of the paste wax formulas centred on using traditional beeswax. Although in later years, the more durable carnauba wax-based varieties gained in popularity, due to their slightly better durability. In the modern woodworking industry, both waxes are used interchangeably. Many carpenters and wood workers believe that the paste wax still holds an irreplaceable shine and finish that synthetic products simply can’t match. What Can I Use Paste Wax For? Unfortunately, paste wax lacks the current protective finishes synthetic products offer, making the paste wax a lower quality sealant than lacquer or polyurethane. Once a wax has been applied to the product as a finish, it’s nearly impossible to cover with a synthetic product, rendering many modern sealants useless in the protection of the wood. What’s more, with a relatively low melting point (140 degrees Fahrenheit), paste wax often can’t withstand the demands of modern appliances or lifestyles. Paste wax also fails to protect many wooden surfaces against water, doing almost nothing to repel the moisture from the surface. Similarly, paste wax also offers minimal protection against scratches and marks. For someone hoping to keep their piece safe and protected, paste wax may not offer the best solution long-term. Is There a Place for Paste Wax Today? Many woodworking professionals believe there is still a critical place for paste wax within the industry, despite its many drawbacks in terms of the sealing properties. That’s because the use of paste wax provides a higher shine and gloss than virtually any synthetic options available. Paste wax is currently used by many individuals as a finishing agent, rather than a sealing option for wood creations. It applies easily to synthetic materials like polyurethane, lacquer and other finishing agents – offering a beautiful shine to virtually any finishing agent. Paste wax can still offer the modern woodworker a great deal of enjoyment and satisfaction, despite its shortfalls mentioned. Using the paste wax over an existing finish can give a piece an unmatched shine and gloss. Finally, using paste wax can also work well to fill any minor imperfections like scratches or cracks. Filling these imperfections allows the light to reflect against the piece evenly; limiting the visible damage and bringing a beautiful lustre to an otherwise marked piece.